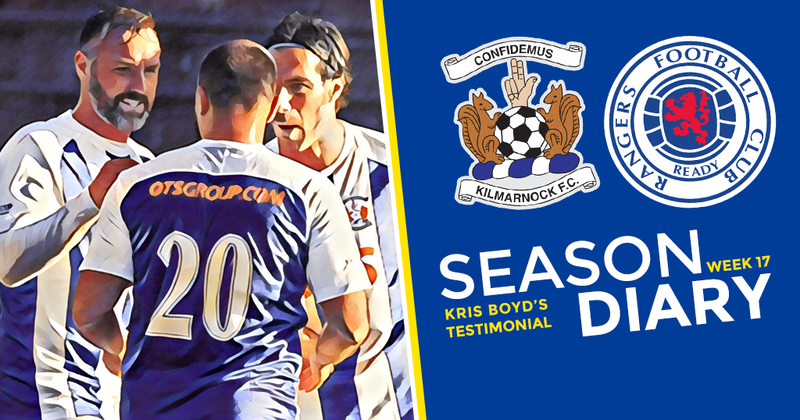 There were legends aplenty at Rugby Park on Saturday, for the charity match organised by Kris Boyd’s testimonial committee. How good was it to see Alexei Eremenko, Gary Holt and Manuel Pascali back in the stripes? Alan Mahood, Andy McLaren, Garry Hay…there are a few medals in there for sure but, these guys will always have a special affinity with Killie and our fans like nothing more than players with real heart. The main man's goal-scoring record is nothing short of phenomenal and what he has done for us in his three spells has been really appreciated. Not long ago four and half thousand would have been a great crowd for a league match so the attendance figure should not be sniffed at. The match was good natured as you’d expect and it was only a cameo appearance by the lad Novo that stopped the boys in blue getting fecked 6-2 by the famous Ayrshire Killie! It is going to be a big test next week with the two form teams locking horns in Perth, the blue and white army will be on the march...see you there!